28 Nov Could Schiphol’s future be at sea? 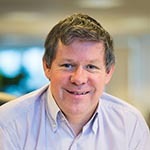 Relocating Schiphol Airport from the Netherland’s densely populated west coast into the North Sea is an idea that comes up from time to time, most recently from Schiphol’s own CEO. If anyone can engineer a large offshore island airport, it’s probably the Dutch. However, engineering it may not be the biggest issue. The real challenge could be creating enough safe operating space for such a large and busy airport. Moving Schiphol offshore is, understandably, a tempting option to relieve aircraft noise nuisance to the surrounding communities and create more capacity. Various designs have been produced in the past, some with up to six runways and future technology such as hyperloop access. Ideas have ranged from moving the entire airport to separate terminals on land and the runways in the sea. To determine the viability, we need to examine the issues. Other airports have been built on islands, be they pre-existing or artificial, although few are large operations. 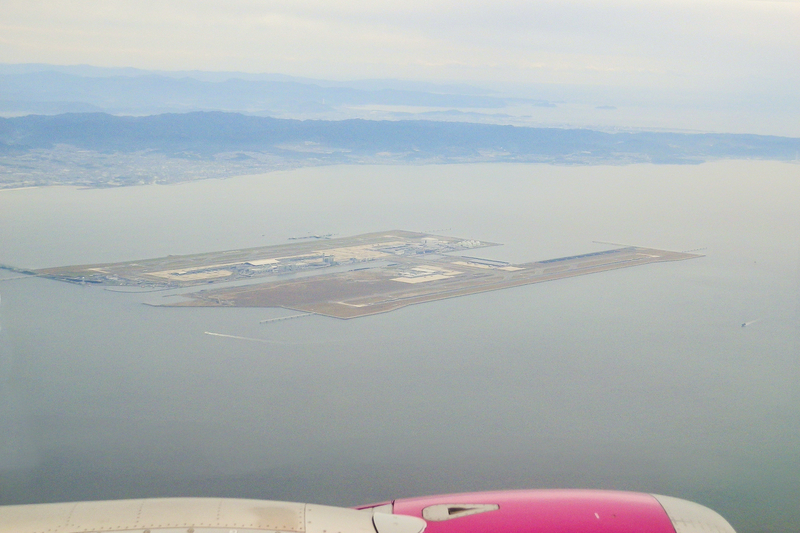 The largest, Japan’s Osaka Kansai Airport, is connected to the mainland by 3½ km of road and rail bridge. It has two terminals and two parallel runways on 11 km2 of clay bed and handles nearly 200.000 flights and 30 million passengers annually (2017). At about 28 km2, Schiphol, is more than twice as large and operates at more than twice Kansai’s level. Still, building a larger airport at sea might not seem too big a problem for a country with a lot of experience in remodelling itself. An old joke runs that whilst God rested after six days creating the Earth, the Dutch built the Netherlands on the seventh. 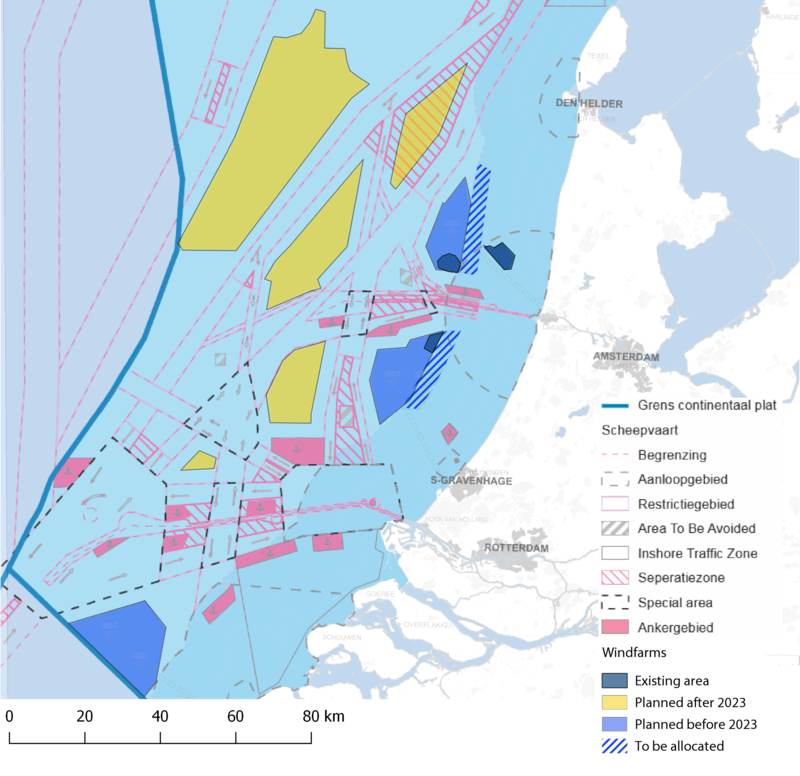 The bigger challenge may be creating the safe operating space needed for Schiphol on an already busy North Sea. Airport operations naturally need much more room beyond their physical surface area to be clear of obstacles, as aeroplanes must be able to climb and descend safely and radar, radio and navigation signals should not be blocked. Schiphol’s obstacle limitation area is approximately 1000 km2. The North Sea is an extremely busy place. The shipping lanes in and out of the Rotterdam and Amsterdam harbours are some of the busiest in the world and its wind farms are some of the largest, with even more planned. Given the number of obstacles now created by wind turbines, the idea might have been easier ten years ago than ten years from now. Maritime anchorage areas, fishing and marine life considerations complicate the situation even further. Are we saying it can’t be done? Creating a ‘Schiphol at Sea’ is indeed tempting. However, whilst not impossible, the list of environmental, ecological and economic issues to balance is long. A lot of detailed and complicated study is needed to determine how it could be made viable. That may include reconsidering the current wind energy plans. The magnitude of the building project would also require government support over multiple terms of parliament. The proposition would thus have to be acceptable to all parties likely to govern in the next 15 or more years. The example of Heathrow’s third runway – the UK government’s first consultation on the project was in 2006 and the work has yet to start – is illustrative. With thousands of Airbus A320neo and Boeing 737Max already sold, the noise problem will soon be solved. No wise government would destroy the billions of investments in Schiphol with all its perks and start building an uncertain and likely unviable future in sea.